We love showing people around our brewery and we have three different tours available. 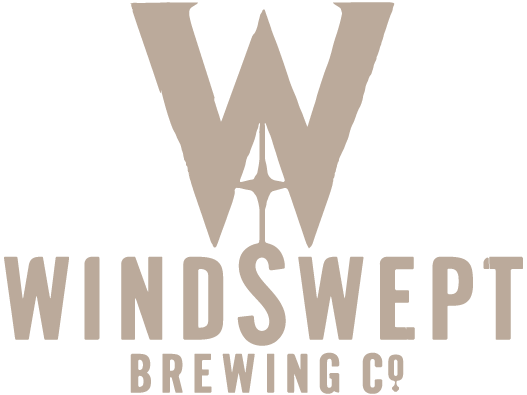 Please do email us at info@windsweptbrewing.co.uk or use the form below as booking is essential and one of the team will be in touch to arrange your tour. An informative tour of the brewery showing you the processes and ingredients used followed by a tasting of our range of 6 Beaten Path beers up in our Brewery Tap Room. For those who want a bit more information on how we make our hand-crafted beers then this is the tour for you. One of our brewers will be on hand to answer all of your questions as you take the tour of the brewery and tasting of a range of our 7 Beaten Path beers . When: For groups of 10 or more. We don’t have a Brewer’s tour scheduled at the moment so just send in your enquiry and we will add you to the list. Want to hear how you go from a passionate home-brewer to making some of the Scotland’s finest hand-crafted beers then come on our Director’s tour. Nigel or Al will take you on a tour of the brewery and then guide you through a tasting of 8 Windswept Beers including some of our specials. When: For groups of 10 or more. We don’t have a date for our next tour at the moment but if you are interested in coming along then just fill in your details below and we will be in touch. Just fill in the form below and one of our team will be in touch with you to arrange the details.